Board votes unanimously to approve expansion plan that will nearly double the physical capacity of campus by 2020 and enable enrollment growth to 10,000 students. 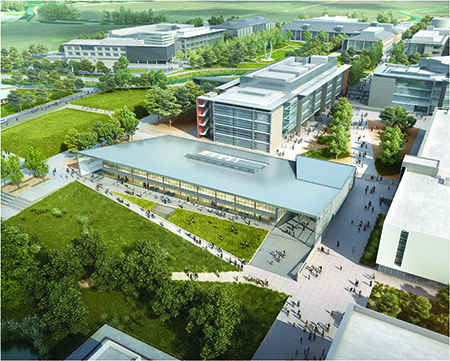 The University of California, Merced, received final approval from the UC Board of Regents today (July 21) for an expansion plan that will nearly double the physical capacity of campus by 2020, enabling enrollment growth to 10,000 students after the project is completed. The regents voted unanimously to approve the design proposal of the selected developer, Plenary Properties Merced (PPM); the proposed external financing; amendments to the project’s budget and scope; and revisions of the commercial terms of the project agreement. UC Merced opened in 2005 as the first new UC campus in 40 years and the first in the San Joaquin Valley. Enrollment has grown rapidly from 875 students in its inaugural year to 6,700 today, with application growth rates doubling the UC system average in recent years. About 99 percent of UC Merced undergraduates attended California high schools. The regents’ approvals clear the way for a formal project agreement to be executed as early as mid-August, with groundbreaking scheduled for October. The project will add approximately 1.2 million gross square feet (790,000 assignable square feet) of teaching, research, residential and student-support facilities adjacent to the existing campus. First building deliveries are planned for 2018, with substantial completion anticipated by 2020. UC Merced leads the UC system in the percentage of students who are in the first generation of their families to attend a four-year college (67 percent) and who come from low-income family backgrounds (61 percent). It also has the highest percentage of underrepresented students (more than 75 percent) in the UC system, reflecting the state’s future demographics. 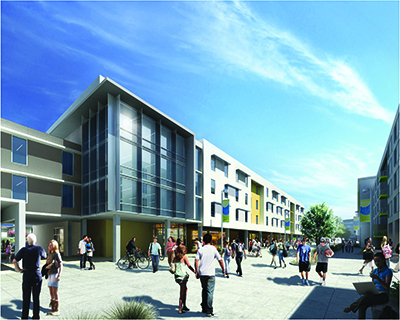 The campus’s growth project is structured as an “availability-payment concession,” a type of public-private partnership with a single private developer (PPM) responsible for design, construction, operation, maintenance and partial financing of all new facilities over the 39-year term of the contract. The development model leverages limited public funds with private investment and expertise while meeting UC Merced’s exacting requirements for quality, functionality, flexibility and environmental sustainability. The project is expected to create more than 10,000 construction jobs in the San Joaquin Valley (more than 12,000 statewide) during the four-year construction period. The one-time economic benefit to the region will be an estimated $1.9 billion ($2.4 billion statewide). In today’s action, the regents approved an amended budget and a revision in commercial terms. The developer is increasing its investment in design and construction by $204 million, with less funding allocated to financing. The amount of UC financing, about $600 million, remains unchanged. The additional PPM capital increases the budget for design and construction to $1.338 billion, up from the previously approved $1.142 billion. The scope of construction has decreased from 918,000 assignable square feet to approximately 790,000 assignable square feet. Design changes will allow for space efficiencies that will facilitate UC Merced’s emphasis on interdisciplinary learning and research, and provide flexibility for future changes. Changes in the design and scope of the project will allow PPM to produce more efficient and durable buildings that will significantly lower its financing, operation and maintenance costs over the life of the contract. 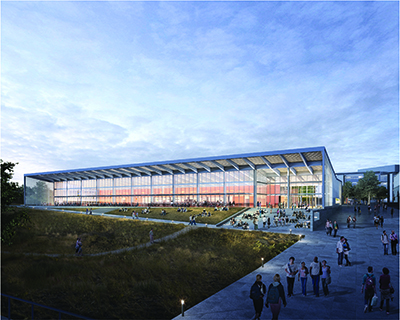 As a result, UC Merced’s financial commitment will be reduced by nearly $9 million. PPM will be paid in installments over the 39-year term of the contract, subject to the continued availability of the facilities for use at performance standards set within the contract. Upon expiration of the term, maintenance of the assets will be handed back to UC Merced. UC Merced will own the buildings and land at all times. The regents also amended the campus’s 2009 Long-Range Development Plan to accommodate minor changes in the project’s boundaries and land usage.